Hello Gorgeous! Enjoy FREE SHIPPING today. One of my very favorite items to use in the drying California climate. 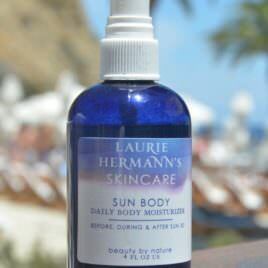 This is why I use it every single day, Laurie Deep, luxurious body moisturizer for extremely dry and/or maturing skin. Instant penetration provides 24 hours of hydration and dramatically reduces the signs of aging. A must for all four seasons as the finest nourishing botanicals promote healthy, younger-looking skin year-round. Infused with cold-pressed lemon oil to help diminish cellulite, age and sun spots; pomegranate seed oil for the firming action and argan nut oil from Morocco for antioxidant richness! This protective body moisturizer increases radiance in every skin type. Excellent on burns, sunburns and scars. Non-greasy with an exotic scent of lemon. #1 Best Seller Luxurious daily face, eye and neck moisturizer. Designed for maturing, normal, oily and/or extremely dry skin, it uses corrective antioxidant botanical oils to hydrate, nourish and turn on your natural glow. Amazing facial moisturizer is hand-crafted from the finest anti-aging botanicals including argan nut from Morocco and pomegranate seed oils. These highly active oils promote collagen and elastin production, firming up your skin to reduce fine lines and wrinkles. Lovely 100% natural botanical oils have been used in healing skin for centuries. 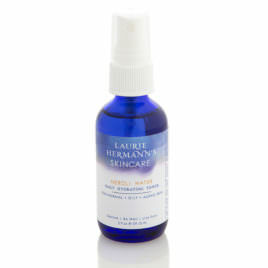 Lightweight Face Serum absorbs into your skin within minutes without clogging pores. Non-greasy. Mild, original natural nut or Neroli (orange blossom) scent. #3 Best Seller Daily face cleanser for every skin type. 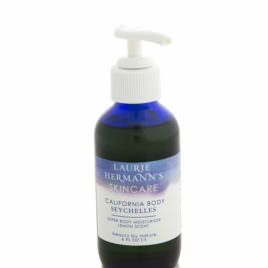 A blissful, mild non-foaming, powder cleanser that lightly exfoliates 99.9 percent of all make-up and impurities away. Organically grown North Atlantic Sea Kelp has anti-aging properties that help Pacific Face Wash work as a conditioner, balances ph level and stimulates healthy skin cell growth. This simple, natural cleanser leaves skin soft and smooth with a younger-looking glow within just a few uses. Refreshing cleanser is gentle enough for all ages and is especially beneficial for those with challenging acne. Fresh ocean scent with essential oils of Neroli (Orange Blossom) or Lavender. Daily face and body dry oil moisturizer for every skin type. Polynesians have, for generations, been exposed to the hot blistering sun, yet they have beautiful, healthy skin. The reason? They use 100% natural botanical oils on their skin even when exposed for long hours in the sun. Packed full of antioxidants the powerful anti-aging oils in this Sun Body help protect, hydrate and usher in hours of hydration while revitalizing dry, dull skin. Whether hitting the boat, pool or beach, consider using this moisturizer before, during and after the sun. Body absorbs oils within minutes, leaving skin dry to the touch without clogging pores. Lightweight oils are soothing on burns, sunburns and scars. Non-greasy! Original tropical nut (comparable to spf 30) scents. #2 Best Seller Hydrating toner for every skin type. Rejuvenates normal, oily, acne-prone, dry, sensitive and maturing skin. 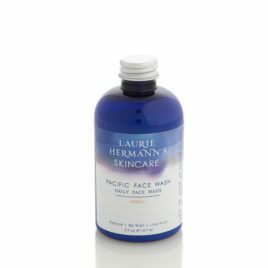 This lovely Neroli Water tones, tightens, firms and improves the overall health of skin. Our fresh, steam-distilled Neroli Water has natural anti-aging effects and balances your skin’s pH-levels. Neroli Water stimulates the growth of healthy new skin cells and is slightly more astringent than Rose Water, making it a #1 choice for oily skin. Neroli Water is known to be highly beneficial on acne,wrinkles, scars, stretch marks, thread veins and helps take the itch and inflammation away from bug bites. Use it to tone skin, set make-up, as perfume, air freshener, hydrate hair and scent linens. In ancient aromatherapy Neroli is calming, keep it close! Fresh citrus scent of orange blossom. Rejuvenating toner for every skin type, especially sensitive, dry and maturing skin. 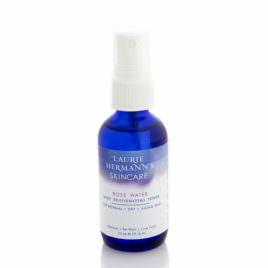 Rose Water tones, tightens and firms to improve the overall health of skin. Our fresh steam-distilled Rose Water has natural anti-aging effects and balances skin’s ph-level. Known to be beneficial on fine lines, wrinkles, inflammation, conjunctivitis, eczema, broken/enlarged capillaries and any kind of redness. After generous daily use you will notice your skin's healthier appearance within weeks. Rose Water can be used to tone skin, hydrate hair, as a perfume, to scent linens and as an air freshener. In aromatherapy roses promote happiness. Keep it close! Fresh scent of botanical rose garden.